Some may have remember the “watercolors” we did last September using the Sensu digital brush. We thought using the iPad and the Sensu brush was a huge improvement over hauling around tubes of paint, paper, etc. 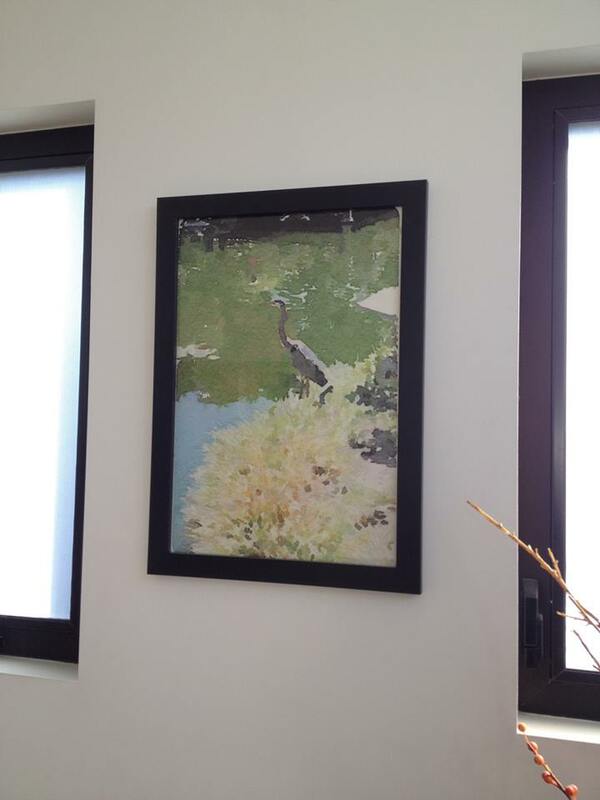 That was until we saw some watercolors hanging on the walls at the RainyDayLA office. We asked if someone had did them and Kristin casually said…”I did that with an iPad app.” The app? Waterlogged by Tinrocket. We, of course, immediately purchased the app and started playing with it on the iPad mini. 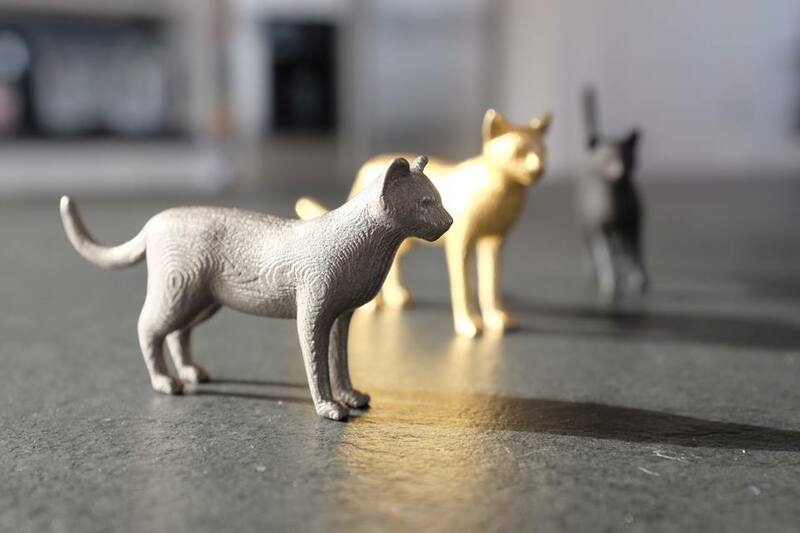 Here is our first attempt using some 3D printed cats we had on hand. The process was remarkable simple: Open the app, grab a photo from the library or take one with the camera, select a filter …and you are done! 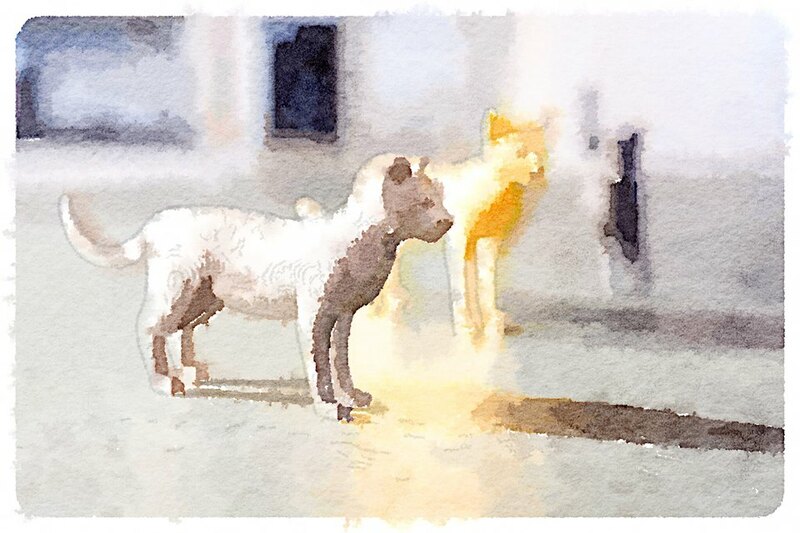 Many of us are familiar with using Photoshop filters and other software algorithms to get a watercolor effect, but we never were that impressed with the results…until now! We may never want to/need to do another watercolor again! Why bother if one can go from an image to damn good watercolor in 0.5 seconds?? ?